Previous PostMassive MIMO in Mobile EnvironmentsNext PostHow Much does Massive MIMO Improve the Spectral Efficiency? It is interesting that, for one-bit ADCs, it can become more difficult to detect the symbols when there is too little noise, interuser interference and intersymbol interference—the amplitude information is then lost. Probably the presence of noise/interference acts as dithering, resulting in some form of stochastic resonance. Does that mean increasing transmit power does not help increasing the rate, while increasing number of antennas helps? Mo, Jianhua, and Robert W. Heath. 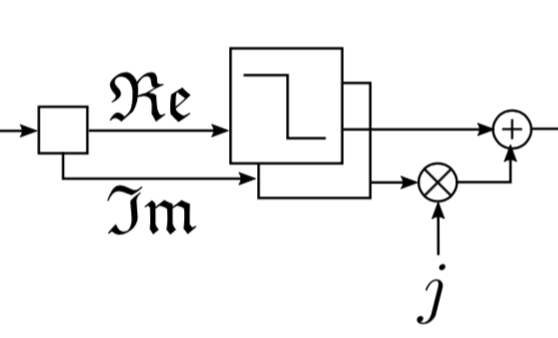 “Capacity analysis of one-bit quantized MIMO systems with transmitter channel state information.” IEEE Transactions on Signal Processing 63.20 (2015): 5498-5512.